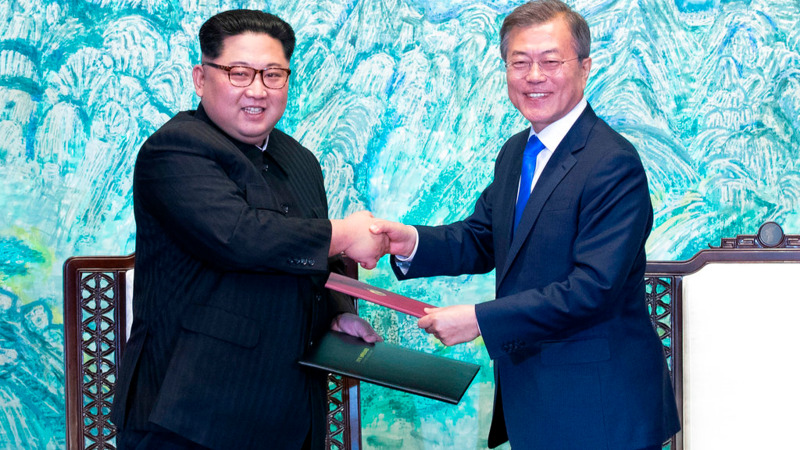 In this April 27, 2018 file photo, North Korean leader Kim Jong Un, left, and South Korean President Moon Jae-in shake hands after signing on a joint statement at the border village of Panmunjom in the Demilitarized Zone, South Korea. North Korea canceled a high-level meeting Wednesday with South Korea and threatened also to call off a historic summit planned next month with the United States due to ongoing military exercises between the South and the U.S., South Korea's Yonhap news agency reported. 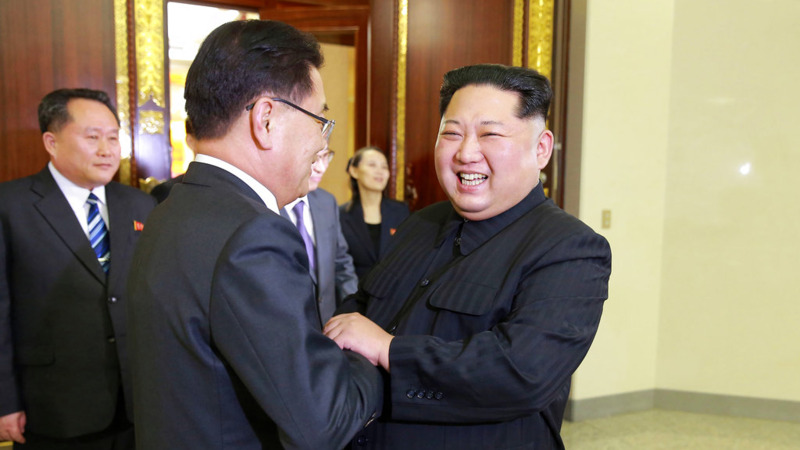 The two Koreas were set to hold a meeting later Wednesday at a border truce village to discuss setting up military and Red Cross talks aimed at reducing border tension and restarting reunions between families separated by the Korean War. 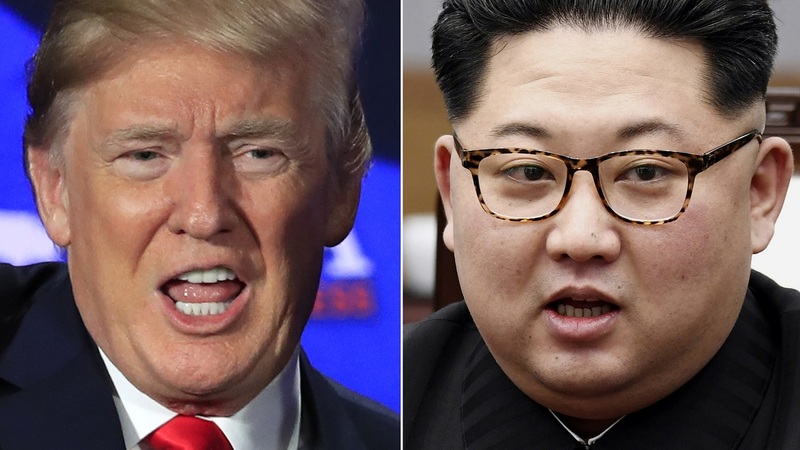 But hours before the meeting was to take place, Pyongyang canceled the meeting and also questioned whether next month's talks between North Korean leader Kim Jong Un and President Donald Trump would happen, Yonhap reported, citing North Korea's Korean Central News Agency. "The United States will also have to undertake careful deliberations about the fate of the planned North Korea-U.S. summit in light of this provocative military ruckus jointly conducted with the South Korean authorities," KCNA reported. The two-week military exercise between the U.S. and South Korea started Friday and included about 100 warplanes, Yonhap said. The site's closure was set to come before Kim and Trump's summit, which had been shaping up to be a crucial moment in the global diplomatic push to resolve the nuclear standoff with the North.